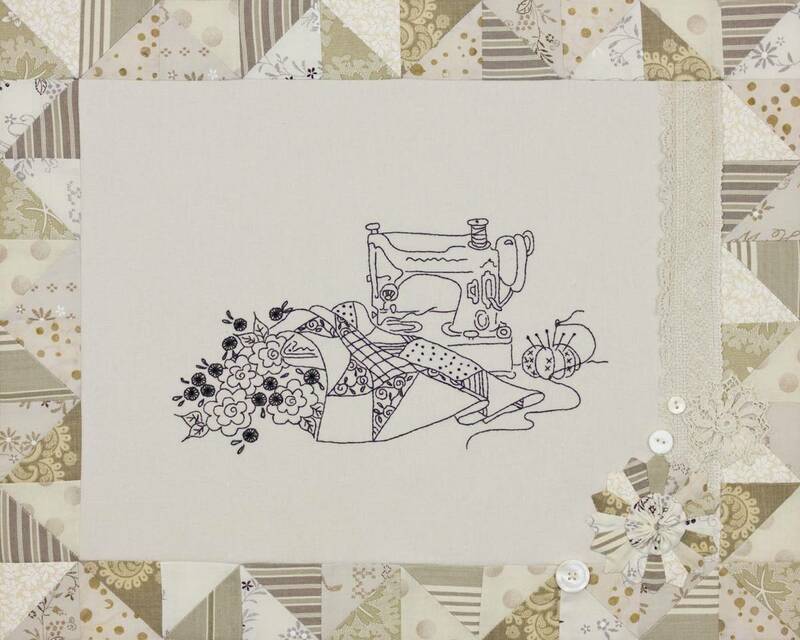 Sweet, sweet quilter’s fantasy...a beautiful vintage featherweight! The pattern will take you step by step through the embroidery, piecing, miniature Dresden, embellishments and framing. 20” x 16”.